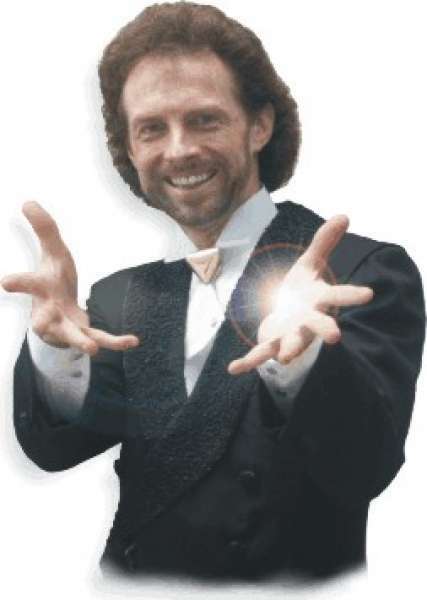 Mitch Williams is an international award winning magician and inspirational speaker with credits throughout the USA, Canada, and in Europe and Japan. Offering unforgettable customized magic entertainment and speaking programs for corporate, public, and private special events. Corporate clients include: Merrill Lynch, Nissan Motors, Nestle, Morgan Stanley, Hallmark Cards, Caterpillar, RLI Corp., Dean Witter Reynolds, Kraft Foods, and many more. Mitch provides unforgettable, astounding, highly visual magic entertainment which also includes music, audience participation, and lots of fun interactions for your guests. He also provides top notch customer service, and will work with you to ensure that he meets your unique needs in ways that are creative and memorable, with a program designed specifically to meet the requirements of your event. Mitch consistently meets or even exceeds the expectations of his clients, and the value that he brings to your events will outweigh the price of your investment in his services. Complete the form below to receive a FREE quote from Mitch Williams and similar Rated Performers or suppliers.